This is often the response when we tell others about the dog meat trade in Thailand. Even the Thais don’t know about it but it is a horrible, horrible thing that is happening there. Neither did Ricky Gervais and Judi Dench and many others on this video – it is heart wrenching and pure cruelty – something that can only be done by people with no hearts, no souls. Please be touched by this video. Please be in the know. When Mummy was playing the video, both George and I were disturbed by the sounds of the dogs’ cries. Now that you know – please help us do something about it. Completely sickened and angry, I sincerely hope that people will choose other holiday destinations until this horrendous practice is stopped. The word I’ve been searching for all day was “boycott” – I think that would be the most effective way to get that message across. I heard about this awful situation about a month ago and couldn’t quite believe what I heard and read. There will always be evil people on this earth but I feel there are more good….and people that are living there need to take a stand and stop this! 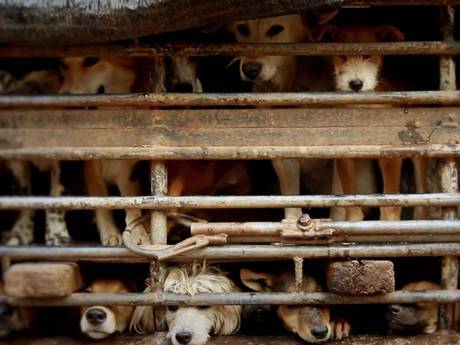 A Thai friend was telling me that the dogs are sent to North east Thailand, Vietnam, Laos and China – they believe that dog meat makes them stronger, especially black ones. Think efforts should also to dispel that truth amongst the people there. ← And we had a blast!